Marriage is one of the major events in life. People, especially women, imagine something grandiose and glamorous about their wedding like they’ve seen it in TV or movies. Located in Gangnam District, Seoul, Bella Vita is one of the wedding halls that makes your dream come true. Bella Vita means beautiful people in Italian. It shares the first floor and the basement halls and a 400 seat dinning are of a building. A live music livens up the mood while the bride steps down the heavenly stairs to reach the standing spot through the guest-filled corridors. The interior of the wedding hall is inviting with not too dark or bright but just right amount of light. The wedding hall is directly connected to the banquet hall and the Korean wedding room which makes the movement of the guests easier. The food is seasonally prepared and has earned high scores from the guests who have used the place. The wedding hall is 5 minute apart from the subway and the outdoor lobby is conveniently organized for the guests. Many parking spaces around the building also play advantageous. 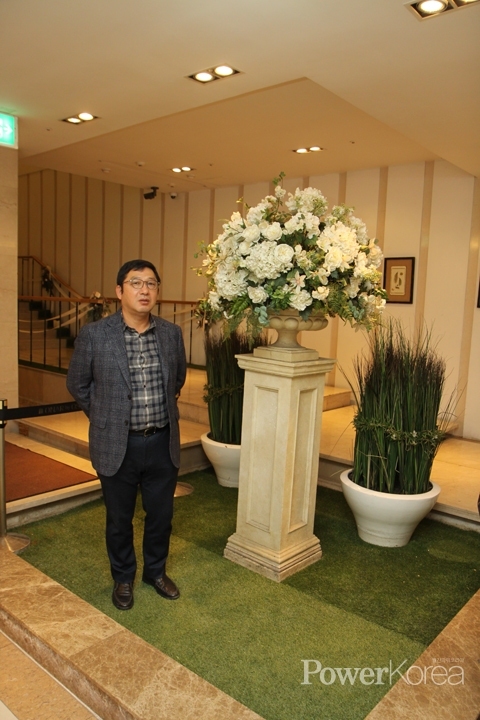 CEO Choi who owns Bella Vita and Leo Park World has 20 years of experience in construction industry. The differentiated management and services of Bella Vita came from this of his knowledge and experience. To celebrate the recent renewal of the wedding halls, Bella Vita is offering unprecedented discount on wedding hall, make up, live music and banquet. Also it supports part of honeymoon cost. In recognition of the contribution to the industry, Bella Vita received the 2018 Korea Culture Management Awards.